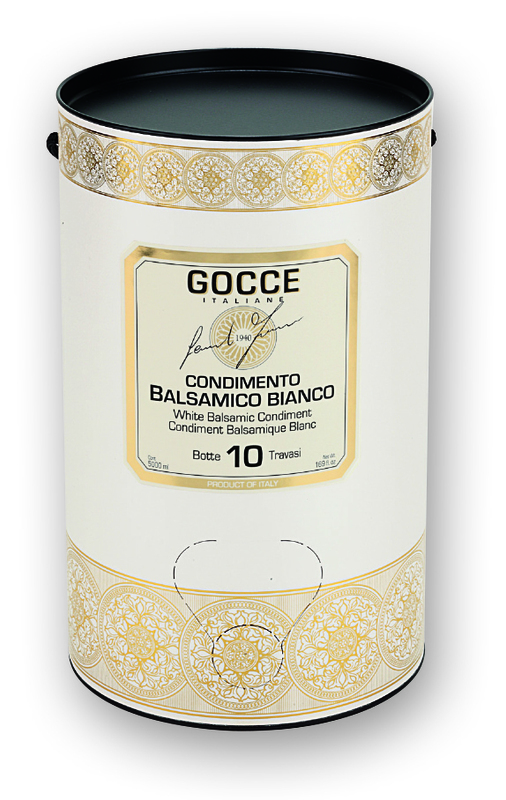 It is produced with white concentrated grape must and white wine vinegar, aged in oak barrels. It has a typical yellow-gold colour. Its most striking feature is that it does not alter the colour of dishes, adding a fruity and mildly acid aroma and flavour (excellent as a substitute of wine vinegar or lemon juice). Ideal on appetizers, salads, raw and cooked vegetables, sauces, fish, white meat (chicken and turkey), cheese (Buffalo Mozzarella, goat, blue cheese, herbal cheese…), for fruit salad, cocktails and long drinks.